Moser Baer Pen Drive Recovery Tool To Combat Pen Drive Issues! 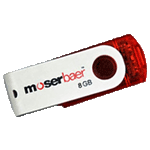 Moser Baer Pen Drives are one of the leading transnational which renders efficient data storage products in varied sizes like 2GB, 4GB, 16GB and much more. But like other pen drives, these Pen Drives are also prone to corruption and creates problems when any sort of damages occur in it. To deal with such issues Moser Baer Pen Drive Recovery Tool is designed which delivers optimum data recovery with following benefits. How to Fix Moser Baer Pen Drive Issues & Recover Data From It? Moser Baer is a well-recognized organization in the domain of Pen Drive Storage media manufacturing. Pen drives are considered as very convenient source of data storage using which one can easily transport data from one system to another. In recent times it has been found that improper handling of Moser Baer Pen Drives especially using it on unprotected systems causes fatal errors which can ultimately block you from accessing data stored in it. This is another trouble some issue which occurs rarely but it is very complicated to deal with. In this types of situation, when you plug in the Moser Baer Pen Drive to computer it is detected successfully but the when user tries to access the device data files or folders, these are unavailable or inaccessible. Pen Drive shows Space as 0 bytes (both Used and Free). This interprets that Pen Drive is having serious issue and it needs to be recovered using recovery application for pen drive. "Due to some bad sector formation, Raw file system, virus attack, or file system corruption is main reason behind of this 0 bytes problem". The disk is Write-Protected" error is a common error experienced by Moser Baer Pen drive users. It occurs when users tries to copy data from other location and paste it to Pen Drive. When Pen Drive is write-protected, it allows viewing or reading the databut Write operation is completely restricted. Write operation also includes Deletion or Formatting of data is also restricted. This is basically done to avoid any threat of external malware, but it also restricts users from transferring data which becomes troublesome. Virus infection is another issue which is commonly faced by users with their Pen Drives. Unprotected methods, especially using Pen Drives without scanning them usually causes virus infection when they are connected to already infected systems. A minor virus infection can cause severe damages in storage medium. It can be fatal and there are also chances of other systems getting infected if you are using Pen Drives with virus infection. 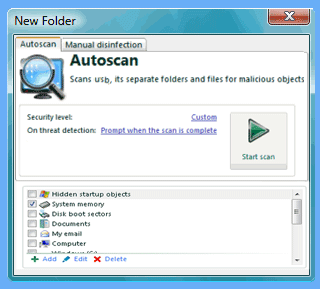 Suppose if you have installed any third party antivirus program in the computer system and set it to auto-scanning mode. Then in such case, when any user attaches Moser Baer pen drive with that particular machine and loses any data during auto-scanning mode due to corruption in Autorun.inf file, then recovery of lost data is not possible manually. But, equipped technologically Pen Drive Recovery Tool is capable of retrieving respective data that gets lost due to auto-scanning of pen drive effectively. 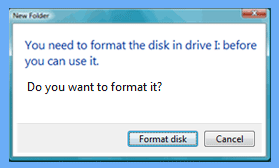 Flash Drive is Not Formattedâ€¦." error is generated due to undefined structure of drive. This is again caused because of virus infection which makes the formatting as RAW file system. There is also a probability that problem is with the boot sector which is causing this error. A quick Moser Baer flash drive recovery is extremely important to recover data immediately. All the above mentioned issues can block your data from any access. Infected Pen Drives can also cause further damages to systems and thus a quick action must be taken to resolve all these issues.Moser Baer Pen Drive Recovery Tool is a powerful software program to recover data from infected Pen Drives. It is an efficient software and is designed to work prominently on your storage media to recover data.